Liverpool has a massive choice of tourist attractions and things to do, including world class museums, concert venues, theatres, and cinemas. Most are found within a relatively compact city centre, while the rest are easy reached using its excellent public transport system. The city boasts one of the most impressive collections of museums and art galleries outside London. 2011 saw the opening of the new Museum of Liverpool. Situated in a purpose built building at Pier Head it documents the history of the city and its people. Nearby, the Albert Dock is home to the Merseyside Maritime Museum, the International Slavery Museum, and Tate Liverpool. Other museums and galleries in the city include the World Museum Liverpool, Walker Art Gallery, the Bluecoat, the Western Approaches Museum, the Open Eye Gallery, The Gallery Liverpool, the View Two Gallery, The Hardman’s House, and Sudley House. The city boasts two magnificent cathedrals. The Anglican Liverpool Cathedral is a 20th century neo-Gothic masterpiece. For a small fee visitors can climb to the top of its tower for a spectacular view of the city. At the other end of Hope Street is the Roman Catholic Liverpool Metropolitan Cathedral, a modernist building known locally as Paddy’s Wigwam. Liverpudlians are passionate about their football and the city is home to two of the English Premier League’s top teams. Liverpool FC play their home fixtures at Anfield while Everton are based at Goodison Park. Tickets for matches can be difficult to obtain but both clubs offer tours of their grounds. In the 1960s the Beatles illuminated Liverpool’s position on the world stage. Today the group is still responsible for a large proportion of the millions of tourists that visit the city each year. The Beatles Story at Albert Dock is the major Beatles’ attraction in the city and offers a brilliant tour through the lives of the Fab Four. Other destinations in the city popular with fans are the Cavern Club and Cavern Pub on Mathew Street, Casbah Coffee Club, Strawberry Field, and Penny Lane. The childhood homes of John Lennon and Paul McCartney, Mendips and 20 Forthlin Road, are both managed by the National Trust. Tours of the properties can be booked online at the National Trust website. Cavern City Tours also offer a variety of Beatles-themed tours. 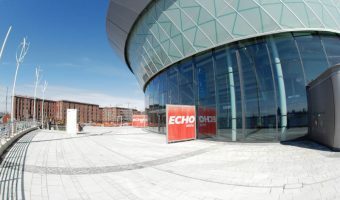 Liverpool’s live music scene received a massive boost in 2008 with the opening of the 11,000 person capacity Echo Arena Liverpool. Prior to this the city had struggled to attract major concerts and events, with the MEN Arena in Manchester being far more popular with promoters. Things have now changed and the waterfront venue has seen concerts from major acts such as Elton John, Lady Gaga, Beyonce, Coldplay, and Bob Dylan. The O2 Academy is another popular live music venue. It offers two performance areas and enjoys a great city centre location close to Liverpool Lime Street train station. Other places to see live music in Liverpool include Mello Mello, Cavern Club, The Shipping Forecast, The Kazimier, and Zanzibar. For fans of classical music a visit the Philharmonic Hall is a must. The Hope Street venue is the home of the world renowned Royal Liverpool Philharmonic Orchestra but also stages a variety of other shows and events. The Odeon is Liverpool’s most luxurious and modern cinema. It offers 14 screens, including a giant IMAX theatre. It enjoys at great location at the Liverpool One development, surrounded by a good selection of bars and restaurants. Other mainstream cinemas in Liverpool include Cineworld at the Edge Lane Retail Park, the Odeon at Switch Island Leisure Park, the Plaza Community Cinema in Waterloo, and the Showcase Cinema in Norris Green. FACT (Foundation for Art and Creative Technologies) is a cinema, art gallery, and the UK’s leading organisation for the support and exhibition of film, art, and new media. The Picturehouse cinema here offers 3 theatres showing a mixture of independent, art house, foreign language, and mainstream movies. Those looking for a unique cinema experience should watch a movie at the Philharmonic Hall. It features a unique cinema screen that rises from the stage to music performed by the venue’s resident organist. Theatres include the Liverpool Empire and the Playhouse (The Everyman Theatre is currently closed for redevelopment and is expected to reopen in 2013). Live comedy shows can be seen at Rawhide at the Contemporary Urban Centre and Comedy Central at Baby Blue. Knowsley Safari Park offers visitors the chance to see a whole range of exotic animals from the comfort of their own vehicle. Tigers, giraffes, rhinos, elephants, and baboons are just some of the animals roaming the open enclosures here. Tenpin bowling alleys include the Hollywood Bowl at the Edge Lane Retail Park. There’s also the Jungle Rumble crazy golf course at Liverpool One. Further information and leaflets for all these tourist attractions and events can be obtained from any of the city’s tourist information centres. The biggest performance venue in Liverpool. Find out what’s on.